And back to blowing the whistle on his raid, without missing a beat. Rains could play it all, and all with that gravel-wrapped-in-velvet voice, thanks to being gassed in WWI trenches (an attack that “bestowed” similar satisfying tones on Ronald Colman). He could be magnificently dastardly as the villain of swashbucklers when going up against Errol Flynn in The Prince and the Pauper and The Sea Hawk. On the other hand, Rains could also play it quietly calculating, icily superior as a disguised Nazi in Sealed Cargo, an amorally inventive mystery radio host in The Unsuspected, or a hard-dealing man of [shady] business in Rope of Sand or Lisbon. And no one could go grandiosely maniacal like Mr. Rains does in The Invisible Man and Crime without Passion. Yet he could easily, and convincingly, switch gears to give us the tender and eccentric fathers of the Four Daughters films or White Banners. Still, this playing is layered. In Mr. Sceffington, he projected such quiet ferocity within his refusal to lose his daughter to his divorcing wife, that Bette Davis, playing the object of that hostility, reports he genuinely frightened her! Then again, in this movie and in The Passionate Friends, he gave his powerful captains of industry humanity by revealing a capacity for deep passion, tenderness, and forgiveness. Finally, he could play a wise man who could out-Yoda Yoda, with more wit and a far better grasp of syntax. Dr. Jacquith deftly guides Charlotte Vale to emotional stability and maturity in Now, Voyager through humor, penetrating insight, and shrewd devil’s advocacy. We see him providing similar help in This Love of Ours and Moonstone, although the latter in a rather scruffy guise. Unfortunately, even Claude’s reasonable, thoughtful Sir John Talbot could not save his son Larry from going all werewolf about Universal Studio’s version of ye olde English village in The Wolf Man. 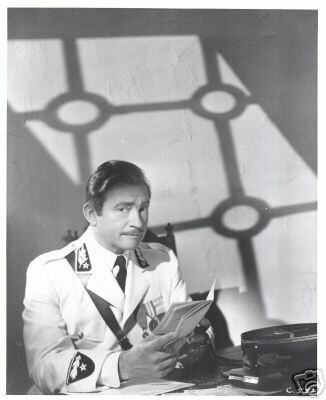 Though some of Rains’s very early roles have a tendency to an over-the-top quality typical of early sound films, the main quality that you do see in his playing is honesty, genuineness. He plays with the type of sincerity that you expect from a Spencer Tracy, a Vic Morrow, or a Vincent D’Ofrio. There are two good biographies of Rains. The one by David J. Skal and Jessica Rains (the actor’s daughter and an actress, herself) is Claude Rains: An Actor’s Voice. 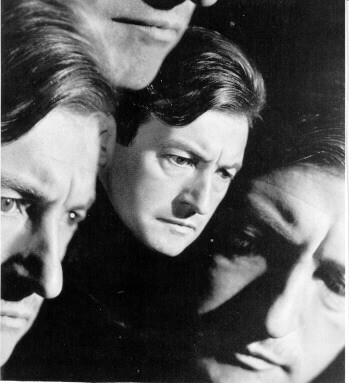 The other is by John T. Soister and JoAnna Wioskowski, Claude Rains: A Comprehensive Illustrated Reference to His Work in Film, Stage, Radio, Television and Recordings. Image 1, from The Hurrell Style, John Day Company, 1976; Image 2, source unknown; Image 3, Warner Bros. Pictures, 1943. No copyright infringement intended. Reproduction of photographs for fan site purposes only. Contact me at this site for removal if your rights have been infringed. 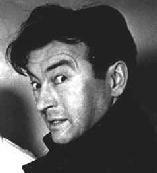 Ah, Claude Rains, remember the name from your class! I didn’t know he was in so many films. I would like to see Four Daughters and perhaps leave Mr. Scoffington to history. The Four Daughters films are fun. Actually, Mr. Sceffington is one of my favorites. He’s not scary through most of the film Instead, he puts up with a lot. He has the great line of ,”A woman is never truly beautiful until she is loved,” but of course we can adapt that to men and handsomeness as well.